Since the early days of Energy from Waste and incineration of hazardous substances, MSSL has always been in the fray. We have been providing testing services and analysis of waste and other substrates destined for destruction by incineration since 1987. Traditionally landfill has been extensively used for the disposal of many wastes. In more recent years things have changed and government regulations are encouraging the re-use of wastes that are now considered a valuable commodity. Typically wastes are treated in a Materials Recycling Facility (MRF) where materials that can be readily recycled, e.g. 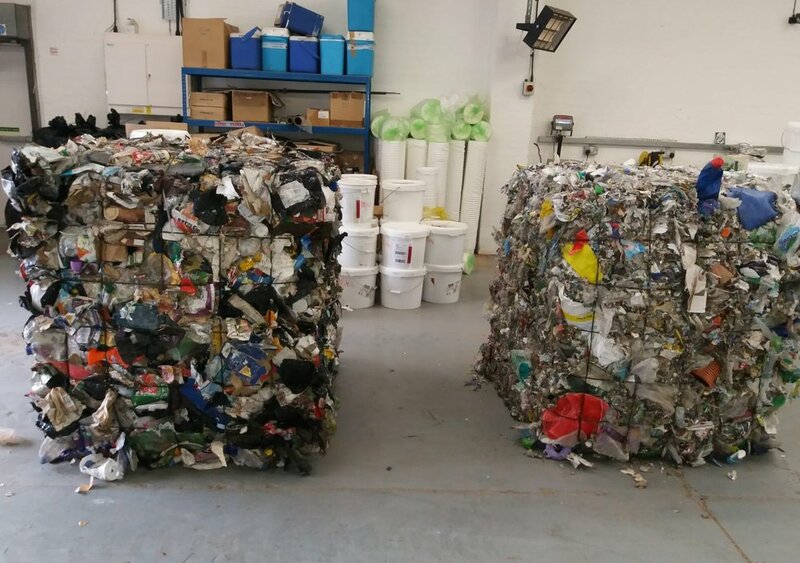 metals and plastics are separated for re-use and the residual waste can then be used for Refuse Derived Fuel (RDF) or Secondary Recovered Fuel (SRF). RDF or SRF can be used as a feedstock for Energy from Waste plants incorporating a variety of technologies to recover energy and generate electricity. These technologies include incineration, gasification and pyrolysis. SRF is increasingly being used as a feedstock for cement manufacture as a replacement for conventional fossil fuels to give environmental and cost benefits. In order to assess the suitability of a waste material as a fuel, testing is required for a number of key parameters. MSSL is able to undertake this testing for a wide range of materials. The basic tests routinely undertaken for waste fuels are the Proximate and Ultimate Analysis and Calorific Value. Other useful measurements include Heavy Metals, Halides, Biomass Content, Bulk Density, Particle Size and Distribution and Waste Characterisation by Manual Sorting. For more information click here. We are proud of our heritage and industry experience as it demonstrates a firm understanding of the technologies in use now and those of the past. It is what allows us to deliver a quality and a competitive service. Analysis is carried out from our two UKAS accredited laboratories at Marchwood and Manchester. Staff at both laboratories possess the experience in handling and analysing waste derived fuels which is a key component to ensuring test results can be relied upon. Once complete, the analytical results are delivered to customers in a timely and efficient manner. This ensures that the product leaving the Materials Recovery Facility (MRF) is within specification and fit for purpose. The method of the collection for laboratory samples is of paramount importance and if the analytical process is to deliver reliable results, a robust Fuel Measuring and Sampling (FMS) plan should be in place.The need for correct procedures should not be dismissed or underestimated. Laboratory samples should be representative of the stockpile or the throughput of the MRF and its processes. Whilst the core business of the Energy and Environmental laboratory is the analysis of waste derived fuel,we also provide on-site consultancy, waste audits and sampling services. We receive the sample which varies in sizing and can be for example 450mm rough cut RDF. Our Untha RS40 Shredder can shred waste up to an 800mm fraction size down to 25mm. Our intermediate prepared samples are around 25-35mm in fraction size. Further preparation after having dried the sample is to mill it. This can be done to 0.5mm fraction size. The final product - milled to 1-0.5mm. Ready for further analysis in the lab. As part of the on-site consultancy service, MSSL produces FMS plans which are based on the BS EN 15442 ‘SRF Method for sampling’ Standard. Once complete, on-site certified operator training courses are available which are designed to ensure the process is worthy of being integrated in to the site quality plan. Because site specific and operational considerations are unique, FMS plans are produced on a case by case and site by site basis, ‘one size does not fit all’. In some cases an independent on-site sampling service is more appropriate and MSSL is happy to take on that responsibility. Developing this option has in the past proven to be very powerful as discussions with off-takers over the accuracy of results and the methodology used to obtain them is sometimes called into question. Using a third party for the development of the FMS and subsequent sampling services is a sensible approach. It is cost effective and non-biased, which means that an offering can be backed up by a reliable data set that is dependable and 100% trustworthy. In conjunction with the FMS the laboratory adheres to additional standards - BS EN 15443 ‘preparation laboratory sample’, and BS EN 15413 ‘preparation of test sample from laboratory sample’. The Marchwood approach and ethos has been developed to ensure a trusting client/supplier relationship which also maintains respect by third party customers.